CHENNAI: Passengers travelling on Mass Rapid Transit system (MRTS) will avail comforts more or less akin to Chennai Metro as the railway service is set to be segregated and handed over to Chennai Metro Rail. At present, MRTS is under Southern Railway. 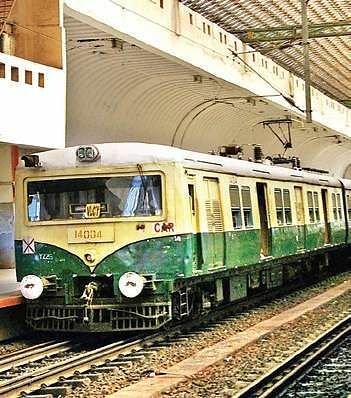 The usually lifeless stations like Chennai Fort and Park Town are likely to be segregated from the usual suburban stations and may be refurbished as there are plans to install lifts and escalators in these stations, according to sources in Chennai Metro and Southern Railway. This would mean the quality of travel on MRTS stations from Chennai Beach to Velachery will be upgraded with coaches similar to Chennai Metro. It is learnt from official sources that MRTS will not have suburban rail coaches, but new metro rolling stock with new communications-based train control (CBTC) system which will have metro-standard signalling across the full line. Similarly, entire stations will undergo repair and renovation and platform modifications will be required for the new rolling stock which will be rolled out once the merger takes place. Stations along MRTS network will have modern telecommunication system at all stations, including CCTV cameras, automated fare collection gates, passenger information systems and passenger announcement system. But, then there would be no gauge conversion. MRTS will remain a broad gauge line since gauge conversion will be too disruptive, sources said. Interestingly, these are the suggestions in an interim report submitted by consultants PricewaterhouseCoopers and Balaji Railroad Systems, which had suggested the assets of MRTS to be taken and those that have to be handed over to Southern Railway. The report has suggested that assets to be taken over include civil station structures, MRTS yard area at Beach station, all electrical substations, overhead electrical lines and functional electrical assets. Those assets which have to be handed over to Southern Railway include existing platforms at Beach station used for MRTS, current rolling stock used on the network and entire signalling and telecommunications infrastructure currently installed. Plans are also on to have a new terminus and concourse at Beach station which is within the existing MRTS yard with direct entry to and from Rajaji Salai and a separate area for interchange passengers. Sources told Express that there is also an option to build new MRTS platform further south of existing platforms, which will be used by Southern Railway. However, the main focus of the draft final report would be structuring the takeover. It will include the possibility of integrating MRTS within the existing CMRL structure or establishing it as a separate company with CMRL playing the role of an operator.